Evelina had a bonnet to buy in Boston; Oakes Angier had a medical appointment to make. So, sitting snugly in a chaise borrowed from Col. Guilford White, Evelina, Oakes Angier, and little Susie Ames rode into Boston. Most likely, Oakes Angier drove while the females sat beside him and examined the passing countryside. This trip would have been a big adventure for Susie, who didn’t move beyond Easton very often. Sarah Lothrop Ames, meanwhile, took the train into town. The two women met up at noon at a familiar haunt, Mr. Daniell’s Dry Goods store on Washington Street. From there they “ran around most all day,” Evelina looking everywhere for the right bonnet – at the right price, no doubt. She secured one at the end of the day and presumably went to the home of Robert and Melinda Orr to spend the night, probably with Susan. Whether Oakes Angier joined her there isn’t recorded. The Ames family didn’t own a chaise, evidently, though such two-wheeled vehicles were quite common. 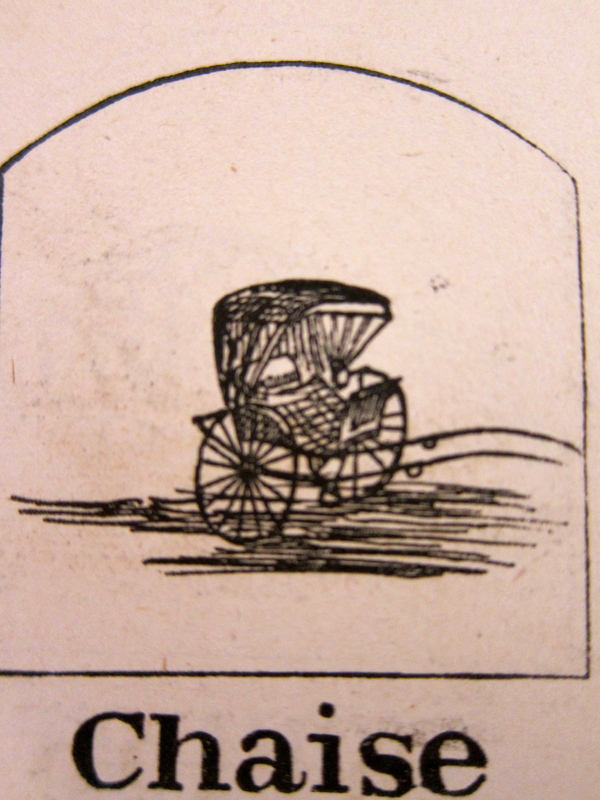 One hears of chaises, known colloquially as shays, being the definitive carriage for rural doctors and country parsons – men who had to move around frequently to see their patients and parishioners, respectively. In 1858, Oliver Wendell Holmes Sr. wrote a satirical poem about a well-built chaise entitled the “The Deacon’s Masterpiece or The Wonderful One-Hoss Shay” that was quite popular in its day.